Mike Holmgren better make sure that his glasses are not fogged up when he sits down to view the tape of this year’s Cleveland Browns. The tape shouldn’t lie. Now I’ll admit- The first half of the season will be like watching a horror film. However, the last half should make you sit up and take note and see that the “process” is starting. The Cleveland Browns are on a winning streak and the players seem to be buying into what he is trying to do. Build a championship level mindset on this team. The Browns have not had an identity since coming back into the league and have gone through coach after coach only to be disappointed in the end. Mangini looks to be different. When Romeo Crennel was fired Browns fans united and said the organization needed a strong disciplinarian. Mangini filled the role. They said the cancerous players in the locker room needed to go. Mangini agreed and said goodbye to Winslow and Edwards. They said be more aggressive on defense and shore up the lines on both sides of the ball. It finally looks to be happening. It’s obvious that all of the parts are not in place, but let’s remember people that it is YEAR ONE! Coaches are not miracle workers and don’t have magic dust to sprinkle over the dead corpse of a team. What they do have is knowledge and character. Mangini seems to have both. Give the guy a chance to build and to put a team on the field all Browns fans can be proud of. A gritty team that plays smart and works hard. Previous post: Fantasy team was a DUD! 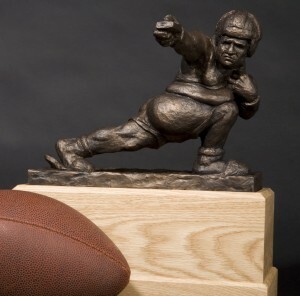 Next post: Jackass Takes Home the Fantasy Football Trophy- AGAIN!